The player takes control of one of two warring nations, Red Star and Blue Moon, as they seek to establish dominance over each other. Each army takes turn, with the Red Star army given the first turn, followed by the Blue Moon. The objective in each stage is to either conquer the enemy's headquarters or destroy all enemy units. During each turn, the player will be given a certain amount of fund which can be use to build units in factories, seaports, and airports in their command, as well as cities near their headquarter. Each unit has their own specialty and abilities, with ten land units (including two foot soldier units), four air units, and two sea units. Some units have incredible firepower against the enemy, while others provide support to allies. Only foot soldier units are capable of conquering cities, which the player can use to repair or refuel damaged units, as well as gain more funds. There are 15 maps available at the start of the game, as well as two secret ending maps, depending on whether the player is playing against the computer as the Red Star army or the Blue Moon army. 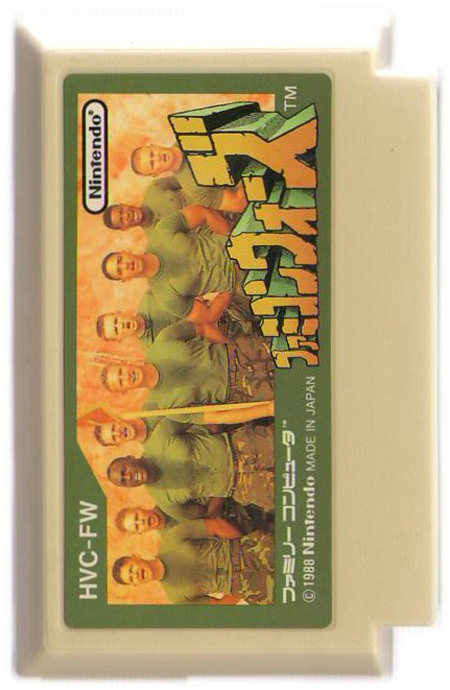 The series eventually made its international debut with Advance Wars for the Game Boy Advance.